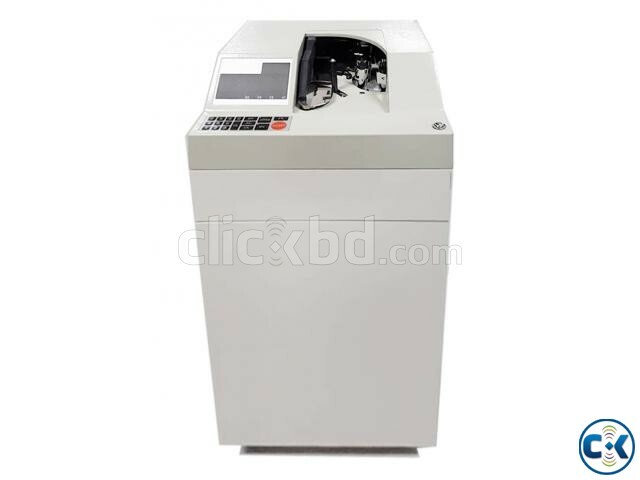 ASTHA CH-600F Banknote Counting Machines has the capacity of Max. 250 Notes and it can count at the speed of 100 notes per 4 seconds. This 4-wheeled floor mount machine with the weight of 34 kg provides the required portability. Standard Function: BATCH: Counting for Preset Number of Notes from 1~200pcs, FREE: Free Counting, ADD: Accumulating the Total Notes Counted, UV: Fake Notes Detector. Count the banded or un-banded. Count banknotes of different sizes. Check Mode: Counted banknote number is exactly 100. Free Mode: Counted banknote is range from 1 to 220. Count the banded or unbanded notes. Newly designed Notes-hold Pole(three holes, five holes). LED Display: Batch display, 3 digits; ADD display, 5 digits. Be able to count different types of Bills and Banknotes. Self cleaning function by air.